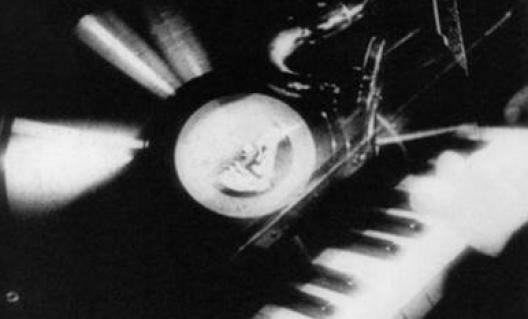 Visualising Music explores alternative models of music-image relationship in film and video art, investigating how the boundaries of cinema can be challenged, both practically and theoretically, by a redefined audio-visual interaction. The first half of the book considers the significance of music in several types of non-Hollywood film, including the work of Werner Herzog and Derek Jarman. Building from here, the second half explores the expanded spaces of video installation art, with close reference to the immersive musical sites of Bill Viola. This handbook offers new ways to read the audiovisual. In the media landscapes of today, conglomerates jockey for primacy and the internet increasingly places media in the hands of individuals-producing the range of phenomena from movie blockbuster to YouTube aesthetics. Offering historical and theoretical positions from a variety of art historians, artists, curators, and writers, this groundbreaking collection is the first substantive sourcebook on abstraction in moving-image media. With a particular focus on art since 2000, Abstract Video addresses a longer history of experimentation in video, net art, installation, new media, expanded cinema, visual music, and experimental film. A major change has taken place at dance clubs worldwide: the advent of the VJ. Once the term referred to the video jockey who introduced music videos on MTV, but now it defines an artist who creates and mixes video, live and synced to music, in clubs or at concerts. vE-jA is a global snapshot of an exploding genre of tech-art performance: VJing and live audio-video. The book covers 40 international artists with 400+ colour images and 50+ movies and clips on an accompanying DVD and web downloads. Appréhender la création contemporaine depuis l'usage du son, tel est l'objet de recherche de Pascale Cassagnau qui effectue la transcription des conversations de la musique avec les oeuvres plastiques, avec la littérature et le cinéma par interludes successifs. Parcours avec casques, installations, spectacles, concerts, séances d’écoute à l’oreille nue… la musique et la création sonore se déploient à l’air libre à travers une palette de plus en plus riche et diversifiée. Les dispositifs et formats conçus par les créateurs sonores pour l’espace public invitent le spectateur-auditeur à des expériences esthétiques hétéroclites. L’ouvrage Tout ouïeaccompagne le lecteur dans la découverte de ce véritable phénomène musical et sonore. Journal audiobiographique propose une petite histoire du son dans les arts contemporains : c'est-à-dire du son dans le corpus ouvert des arts plastiques, du cinéma, mais aussi de la radiophonie.